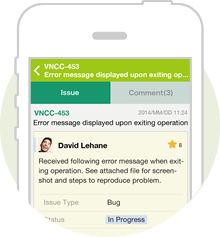 Keep track of issue changes and comments, and be alerted of Backlog notifications on your iPhone wherever you go. You won't miss another important update on your project. 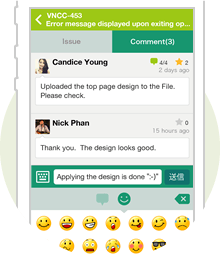 View comments in the format that you have selected on the web for easier reading. Open issue links and URLs in comments, and open attachments and shared files within the Backlog iPhone app or with other compatible apps. You can also add stars as you do on the web version. Leave a comment on Backlog anytime, anywhere. You can also add emojis as well as people to notify. Have more than one project Space to keep track of? 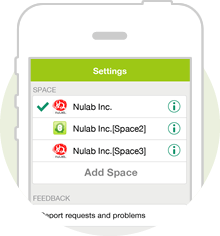 The Backlog iPhone app supports multiple Spaces that you can switch between. 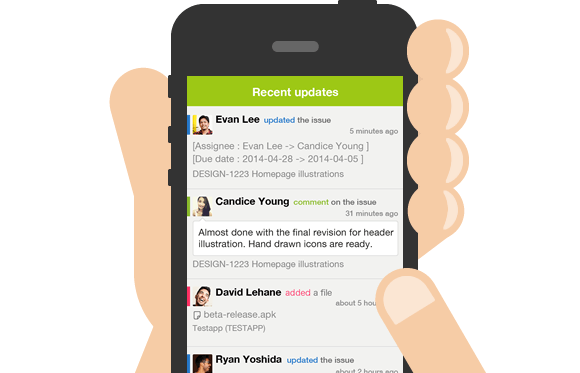 Start using the Backlog iPhone app!